After four years of study at Photographic Studies College I and eight of my classmates are nearing the completion of an Advanced Diploma of Photography with an Art Major. Our Final assessment is based on a public exhibition, which opens on November 16th, 2018. 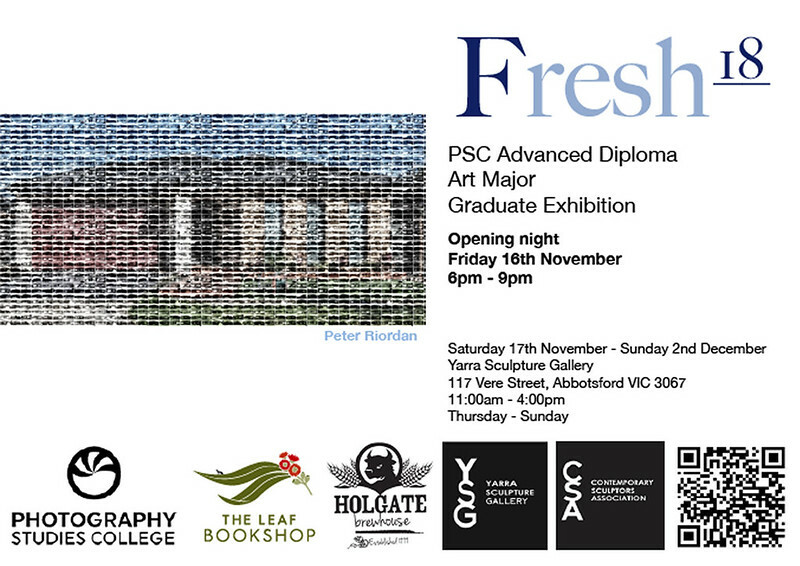 So if you happen to be in Melbourne at the time, please join us on opening night. In any event please like and follow our Facebook and Instagram pages and stay up to date with developments as we work towards our graduation. Any support you are able to offer will be gratefully accepted.